Hanoi (VNS/VNA) - Shares continued to climb on August 1 on the two stock exchanges, backed by strong gains of oil stocks after global oil prices recorded the strongest month of the year. 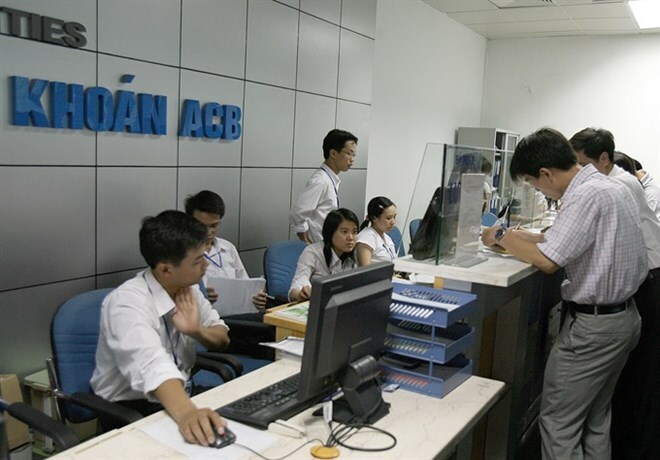 On the Ho Chi Minh Stock Exchange, the VN-Index increased 0.42 percent to close at 786.61 points, topping the former nine-year high of 782.65 points of July 6. Energy stocks drove the market up with the two biggest listed oil companies, PV Gas (GAS) and PetroVietnam Drilling and Wells Service (PVD), advancing 2.6 percent and 6.8 percent, respectively. PVD was among the most active stocks on the southern bourse with more than 8 million shares being traded, despite its negative earnings in the second quarter. The company reported a loss of around 45 billion VND (16.7 million USD) in the second quarter, adding up to a total loss of 246 billion VND in the first half of this year. The firm attributed the poor result to a 34-40 percent decline in the lease of drilling platforms over the past three months. Global oil prices extended gains on July 31, ending the strongest month of the year, boosted by expectations of US sanctions against Venezuela’s oil sector and waning concerns over the supply in major oil markets. Brent crude edged up 0.3 percent to settle at 52.65 USD while the US light crude oil rose nearly 1 percent to trade at 50.17 USD a barrel. Expansion of other blue chips such as brewery Sabeco (SAB) with a rise of 3.4 percent, Vietcombank (VCB) up 1.7 percent and Petrolimex (PLX) up 0.32 percent largely contributed to the market uptrend. These shares are among the top 10 largest shares by market value on the HCM Stock Exchange. On the defensive side, despite positive earnings reports, Vietinbank (CTG), Military Bank (MBB) and Vinamilk (VNM) dropped between 0.4 percent and 2 percent. Overall market breadth was negative with 159 stocks declining, 124 advancing and 58 closing unchanged. On the Hanoi Stock Exchange, the HNX-Index edged up 0.14 percent to 101.33 points. According to BIDV Securities Co, the market is exposed to a short-term correction risk in the coming sessions after a six-day trading rally due to selling pressure of stocks that have gained significant profit.